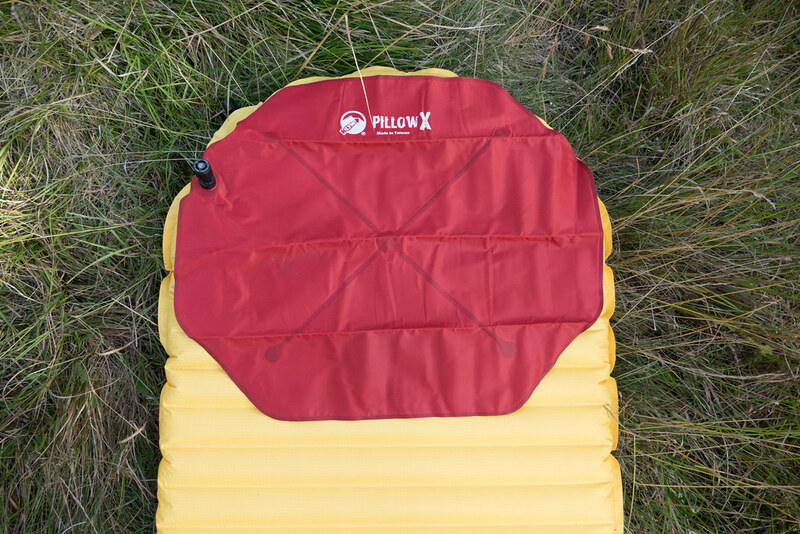 Not only a sleeping pad is needed for a good night’s sleep on the trail, also a pillow is what many of us want for sweet dreams under the stars. 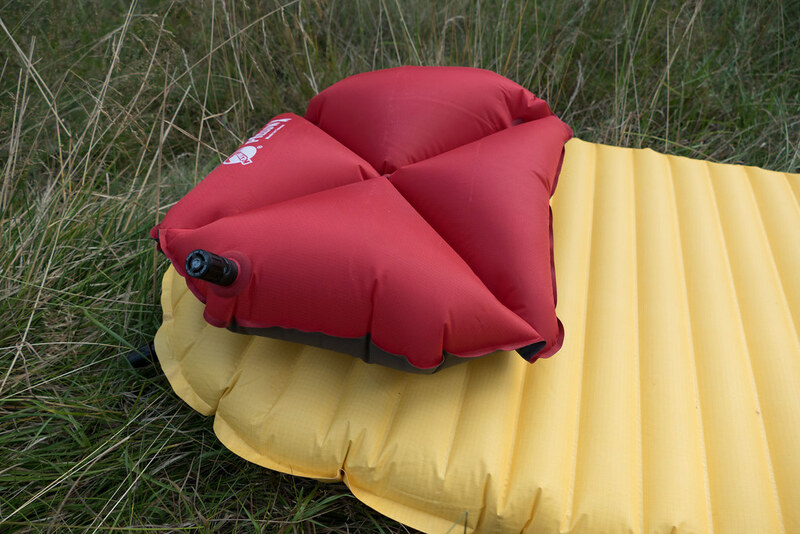 After trying several pillows and fussing around with spare clothes I found the Klymit Pillow X and don’t go backpacking without it anymore. Another 56 g that’s added to the sleep system. If it looks like there’s a gear-increase, that well may be possible. 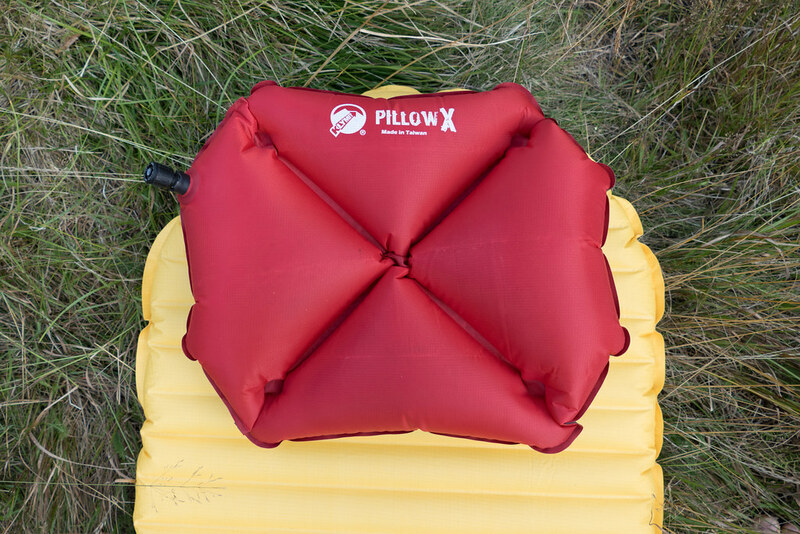 But after years of fussing around with rolled-up clothing or stuff sacks to act as a pillow, trying some other backpacking pillows and trying to learn to sleep without one I pulled the trigger on the Klymit Pillow X as I saw it over at Mountain Laurel Designs. I didn’t bother reading reviews (there were none) but felt this would be a winning purchase just by a look at the design. That X is where the magic happens, design-wise. It centres your head in the middle, cradles it a bit, and works great for side and back sleepers. I turn a lot in my sleep, from side to belly to side to back and onwards, and the Pillow X is comfortable in any of these positions. I even can prop my arm up underneath it, almost as home. 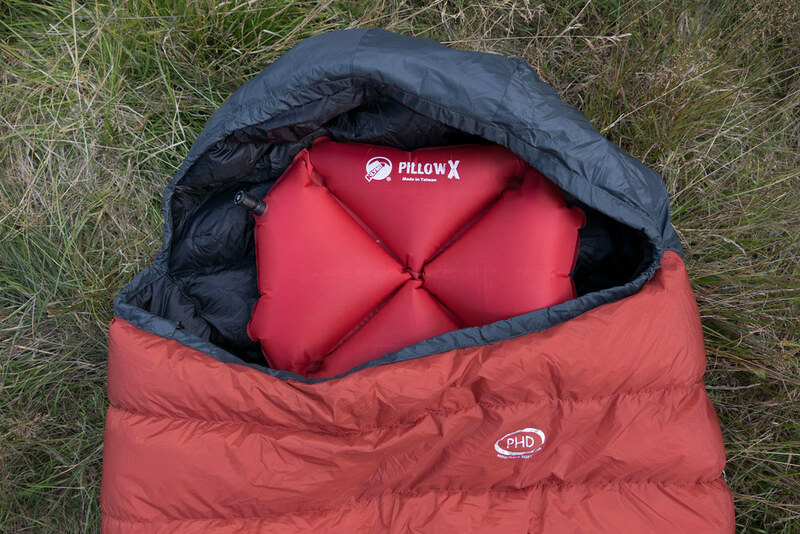 I have used it on all long hikes this year, from winter camping in the north to hillwalking in the Lake District and backpacking on the Eisleck Trail and the result is: It’s a winner. It gets packed always, because I value good sleep on the trail. Two puffs to inflate. It takes longer to deflate and roll up the Pillow X, around a minute or two, as the X construction likes to trap air here and there. But hey, that’s OK, there’s usually no hurry in the mornings. When the vlave looks big: It is. But it ain’t in the way for me, in a pinch you can even turn the pillow around and don’t have the valve on top. 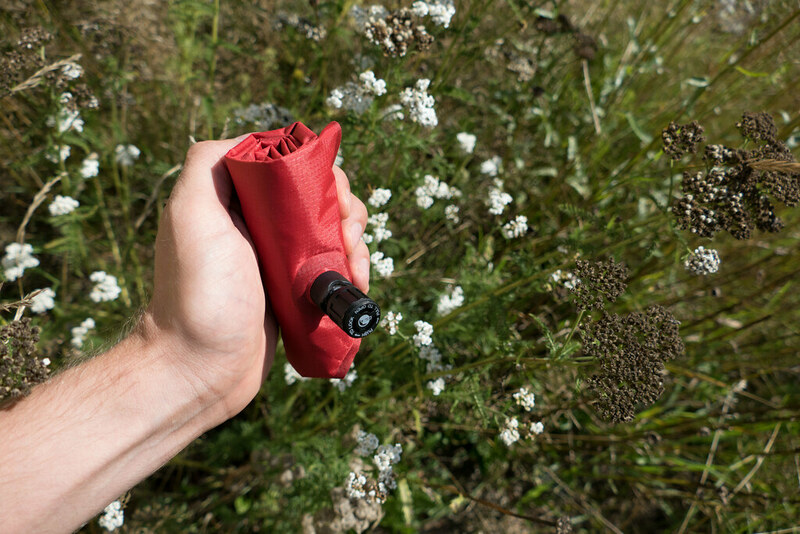 Maybe Klymit will at some point use a smaller vlave which would save some weight and not stand out that much, but even like this it works well. The bottomline is pretty straight forward: When I pack along with the XLite or Xtherm the Pillow X always comes along. It are 56 g that I’m happy to carry for a comfy pillow that works. If you feel the same and want to get a good night’s sleep order your Pillow X from Mountain Laurel Designs or directly from Klymit.